Windows Vista introduced Microsoft’s new ‘component based servicing’ architecture in an effort to make updating and altering the features of the OS more straightforward and put an end to ‘DLL Hell’. 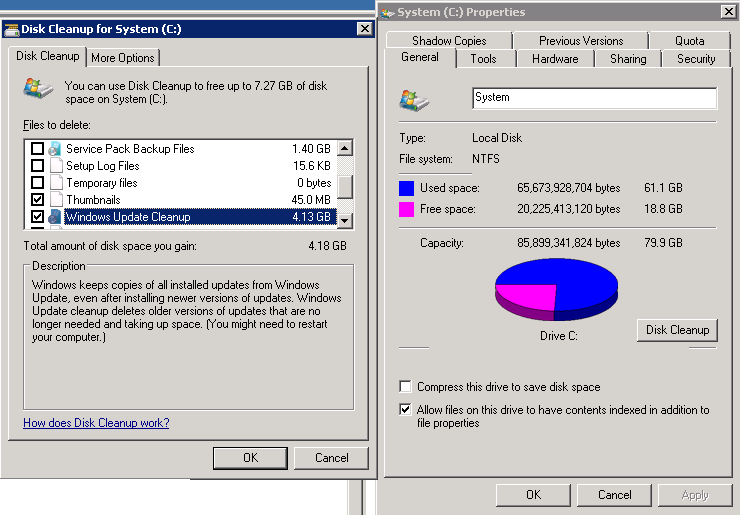 Windows 7, 8, 2008 and 2012 all use this component based model. One unanticipated result of this was that over the life of the operating system the Windows component store (WinSXS folder) becomes bloated with thousands of updates and obsolete file versions that are no longer in use. 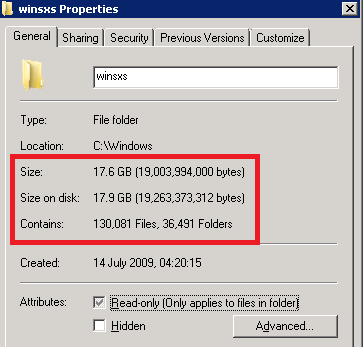 So this is the component store on a 3 year old 2008 R2 SP1 server, and the entire C:\Windows actually adds up to over 30GB. 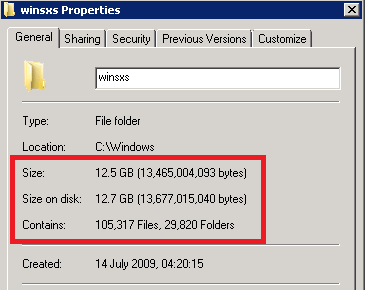 The published system requirements for Windows 2008 required ‘10GB minimum, recommended 40GB+’ disk space, so admins who provisioned thinly ended up with serious storage problems. We’d better install this update and clean it up. The update can be downloaded from here. Once you have downloaded and installed the update it is necessary to install the Desktop Experience feature, either from Server Manager or using Powershell ‘Add-WindowsFeature Desktop-Experience’. This requires a reboot. I’ve been waiting several years for this update.